Women in Learning hasn't added a story. 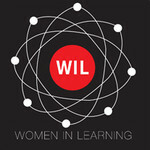 The idea behind WIL is to offer a forum in which students or post-docs doing scientific research in the broader field of Learning Theory, Behavior, Memory and Neuroscience can seek advice, support, and guidance on the advancement of female researchers from a notable female researcher who has already carved a path in the field. Women in Learning hasn't posted any updates yet. Women in Learning is managing the funds for this campaign.